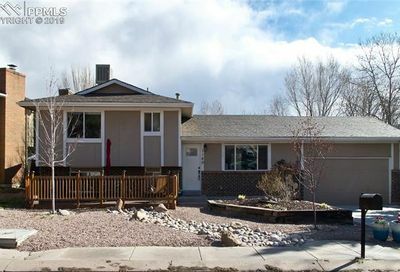 Holland Park is an older neighborhood located on the west side of Colorado Springs. Holland Park homes for sale are generally homes built in the 1960s to 1980s and there are quite a few townhomes located in the area as well. Homes in this neighborhood are generally 1,500 to 3,000 square feet and the median home price in this area is $270,000. Students in Holland Park are districted to the Colorado Springs D11 attendance area with Jackson Elementary School located directly in the center of the neighborhood. Holland Park in Colorado Springs is a popular area because this area is close to Manitou Springs and convenient to Highway 24. In the neighborhood, both Jackson Park and Douglas Creek Open Space provide residents with an area to enjoy recreation. The retail centers located off Garden of the Gods and Centennial mean that you don’t have to go far for restaurants, markets and conveniences. People live in the West part of Colorado Springs for its convenience and its proximity to the natural beauty this area has to offer. Although there aren’t a lot of homes in this area, there is a wide range of choices from stately hillside homes, to affordable townhomes. The West part of Colorado Springs is a popular but often overlooked area. If location, convenience, and natural beauty are on your list, this might be the right area for you.